An open casting call for a secret “major Disney movie” has gone out today through Twitter for actors living in the UK. Casting agent Claire Curry @UKopencall tweeted, “Open Auditions for major Disney Movie starting in Bristol this weekend! Please help spread the word.” The film in question is reportedly director J.J. Abrams’ Star Wars: Episode VII. “SEEKING YOUNG WOMAN TO PLAY 17-18 YEAR OLD. MUST BE BEAUTIFUL, SMART AND ATHLETIC. OPEN TO ALL ETHNICITIES (INCLUDING BI AND MULTI RACIAL). MUST BE OVER 16. RACHEL – Was quite young when she lost her parents. With no other family, she was forced to make her way in a tough, dangerous town. Now 17, she has become street smart and strong. She is able to take care of herself using humor and guts to get by. Always a survivor, never a victim, she remains hopeful that she can move away from this harsh existence to a better life. She is always thinking of what she can do to move ahead. SEEKING YOUNG MAN TO PLAY 19-23 YEARS OLD. MUST BE HANDSOME, SMART AND ATHLETIC. MUST BE OVER 18. 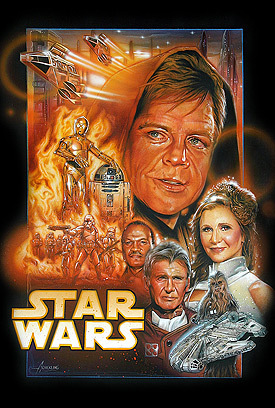 The new Star Wars feature films, beginning with the long-awaited Star Wars: Episode VII, is targeted for release in summer 2015, followed by Episodes VIII and IX.